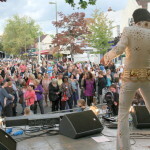 To commemorate the 60th anniversary of Queen Elizabeth II’s ascension to the throne It’s Magic created a jubilation of music from 11am until 10pm on Monday June 4 in The Broadway, Haywards Heath, 2013. 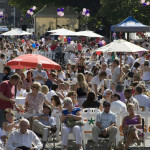 Jubilee on Broadway celebrated Her Majesty the Queen’s Diamond Jubilee with live music from every decade of her 60 years reign. 15 bands and singers performed songs from the 50’s through to present day covering every style of music during her reign. 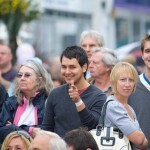 Tim French of It’s Magic succeeded in creating a sense of community ‘this was an opportunity for people in Haywards Heath, and beyond, to celebrate 60 years of Her Majesty’s reign. This is about communities coming together’. 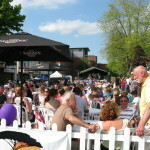 The Broadway was turned into a Street Music Party, closed to traffic, the bars and cafes extended their seating areas out onto the road allowing residents of Mid Sussex to chill out with friends and family. 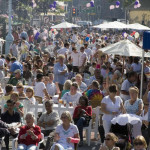 A magical summer street party atmosphere on the Broadway was created, not only musicians performing but entertainers and face painters for the children. 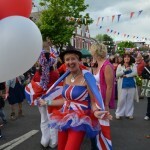 This became the biggest street party in Sussex with bunting stretching up the full length of The Broadway to celebrate Her Majesty’s long reign, everyone certainly went away with a wonderful Music Festival Feeling. 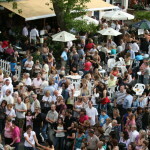 Tickets are available online www.itsmagic.org.uk or tel: 01444 800045.